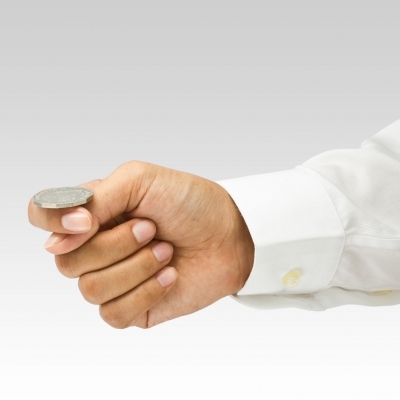 Whether you send a cover letter or not can depend on the of flip a coin. I recently read two separate articles about the importance of cover letters. In one article, 86% of the surveyed said the cover letter wasn’t necessary. In the other article, 86% of the sample said the cover letter was an essential part of the hiring process. I think it’s amusing that both studies came up with 86% for or against. Hiring managers’ opinions about reading cover letters can be placed in three categories. One group of hiring managers won’t look at a cover letter. A second group will look at the cover letter after they read the résumé and find it intriguing. The third group of hiring managers will look at the résumé only if the cover letter gives them a reason to do so. It’s up to you to make the decision whether or not to send a cover letter. Below are some arguments on both sides to help you make your decision. When companies ask for a cover letter, send it. They are looking to see if you follow directions. Not doing so eliminates your application. The structured format of the résumé doesn’t allow for explaining such things as gaps. The cover letter is the perfect place to explain the gaps. A cover letter is a good place to mention anyone you know in the company. They are part of the application package. While they may not be read, hiring managers expect to see one. They encourage some readers to read the résumé if the cover letter captivates them. Employers who read the cover letters do want to see a cover letter. It allows you to explain 2-4 things that you want to highlight from your résumé. When applying to associations and not-for profits, you want them to know you support their cause. Online applications may or may not have a place for a cover letter. If there is a place for one, send it. In a tough economy, it will set you apart from the others if it’s well written. Some people think it’s an out dated practice. Recruiters spend only a few seconds on the résumé. If that is the case, it’s hard to believe they will bother with a cover letter. When sending a résumé by email, the résumé should be the only attachment. A short compelling email will serve as the cover letter. Some positions, such as part-time positions, don’t require a cover letter. There are industries that would prefer a portfolio of sample work, a PowerPoint presentation, a marketing plan, or design drawings with a résumé. If the employer said not to send one, follow the directions and don’t send one. If your cover letter is less than outstanding and flawless or if it only restates your résumé, it isn’t going to help make your case. What do I think? Here’s a story from my childhood that will explain my thoughts. When I was a child, my mother would always tell me to take a sweater. Many times it wasn’t needed. But she explained that if I didn’t need it, I didn’t have to wear it. But if it got chilly and I had my sweater, I could put it on. It’s better to have a sweater and not need it, than to need it and not have it. It’s better to have your cover letter not looked than have your résumé tossed out because you didn’t send one. 4 Comments to "Cover Letters: To Send or Not to Send, That is the Question." I’ve done one of the largest studies of cover letter use, interviewing thousands of hiring managers, HR reps and recruiters – this study was reviewed by Fortune.com this past summer. You can find the link and analysis at http://www.recareered.com/blog/2012/06/11/comment-on-fortune-article-are-we-killing-off-the-cover-letter/ . One fascinating aspect of my study’s results is that job seeker cover letter behavior is almost exactly opposite the way almost all employers use cover letters. I believe this is due to traditional job search coaching/writing influencing candidate views about employer cover letters use. These views are often supported by a couple candidate positive feedback experiences concerning cover letters … without seeing the overwhelming negative feedback (who’s going to call/email you to tell you they never read cover letters?). Thank you for your enlightening post. You bring up some valid and interesting points. The results of your study are amazing. I will be rethinking my position on cover letters. I do agree on the targeted resume. It is something I recommend to all my clients. Thank your taking the time to share so much valuable information. Great post, Arleen. It is amusing that you found two studies both with opposing views and yet both coming to a number of 86%. In my opinion, is a cover letter always necessary? No, I wouldn’t say so. But very rarely will a cover letter actually hurt your chances of getting a job, unless the letter itself is not up to standard. Obviously, as you said, if the employer said not to include a cover letter, don’t bother. As for part-time jobs, although a cover letter may not be necessary, including one might be the thing that tips the hiring process in your favour. Thank you for your comments. You are spot on. Better safe than sorry. 1 Trackback to "Cover Letters: To Send or Not to Send, That is the Question."